Because we love daffodils so much, we feel it’s fitting to tell you a little more about their history. That is to say, the story that the ancient Greeks told. According to a well-known myth, recorded among others by Ovid in his Metamorphoses, a young man named Narcissus encountered his own reflection in a pond one day. He immediately fell in love with this beautiful stranger and could not tear himself away. He wept because he could not reach the other person, but his tears disrupted the reflection, making him even more distraught. So he sat by the pond and gazed into the water. He stopped eating and drinking, and eventually wasted away. After his death a beautiful flower was found growing by the pond: the daffodil (narcissus). This myth is also the origin of the term narcissism for excessive self-love. Read more about this mythical flowerhere and maybe you will choose to plant daffodil bulbs in your garden. The daffodil is a fascinating flower with a rich etymology. One of the daffodils best characteristics is that it will grow in the same spot for years, just like Narcissus in the myth. Each spring, the daffodil will re-emerge from the earth to announce the coming of spring. To make sure that your daffodils will continue to appear, plant your daffodil bulbs in an optimal spot in your garden. Daffodils like the sun and will do best in a location that gets about six hours of sun each day. This will also ensure that the bulbs will keep on working even after the flowers have faded, preparing for next spring. 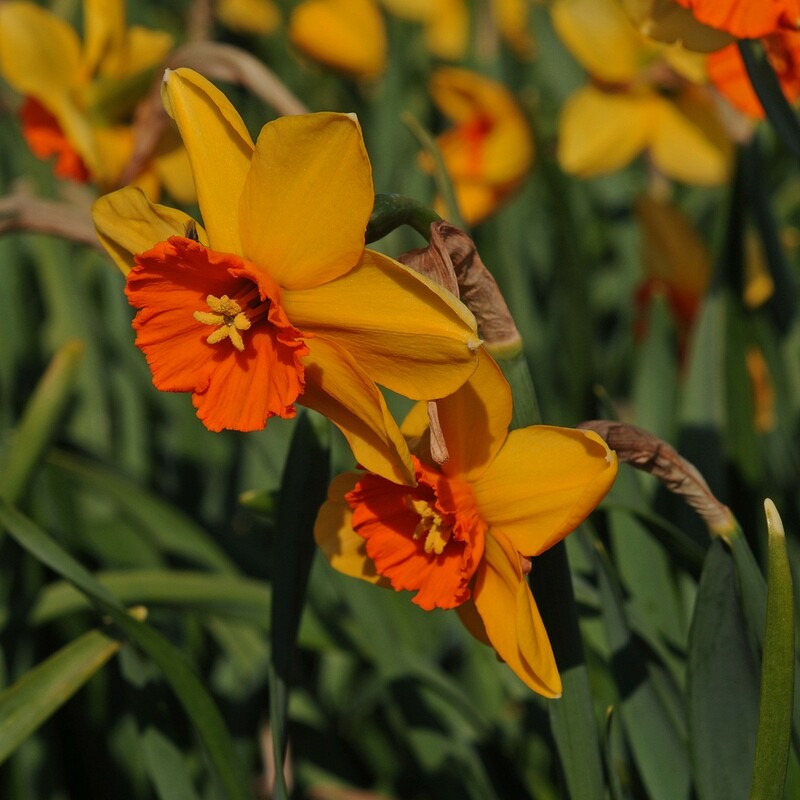 Make sure you plant your daffodil bulbs in well-drained soil as they do not like it too wet. Daffodils must be planted in autumn so that they will bloom in spring. Loosen up the soil and mix in some specialty flower bulb fertiliser before planting. Dig a trench that is a few centimetres deep and plant the bulbs 5-10cm apart with the point facing upwards. Make sure that your daffodil bulbs are planted firmly in the soil. After planting, water your bulbs and continue to do so periodically. After the flowers have withered, cut away the dead leaves. This will guarantee that the bulb can put all its energy towards next years daffodils. We would wager that most people are only familiar with two or three kinds of daffodil. But is you look around our web shop at Fluwel.com, you will see that there are dozens! 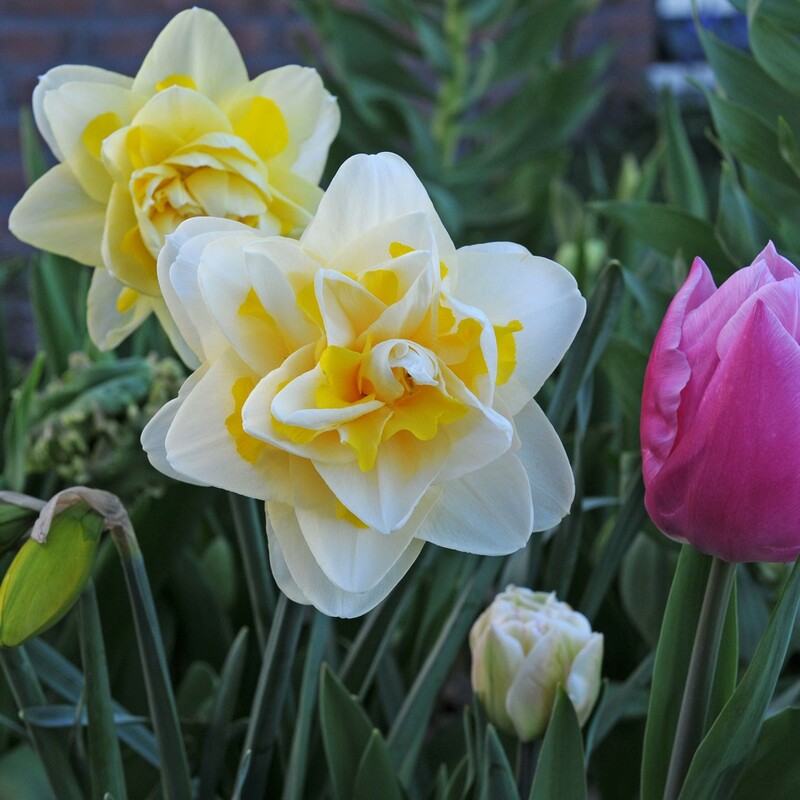 You will be spoiled for choice when buying daffodil bulbs. You can also find professional advice here, we have a lot of experience with daffodils and are happy to answer any questions. 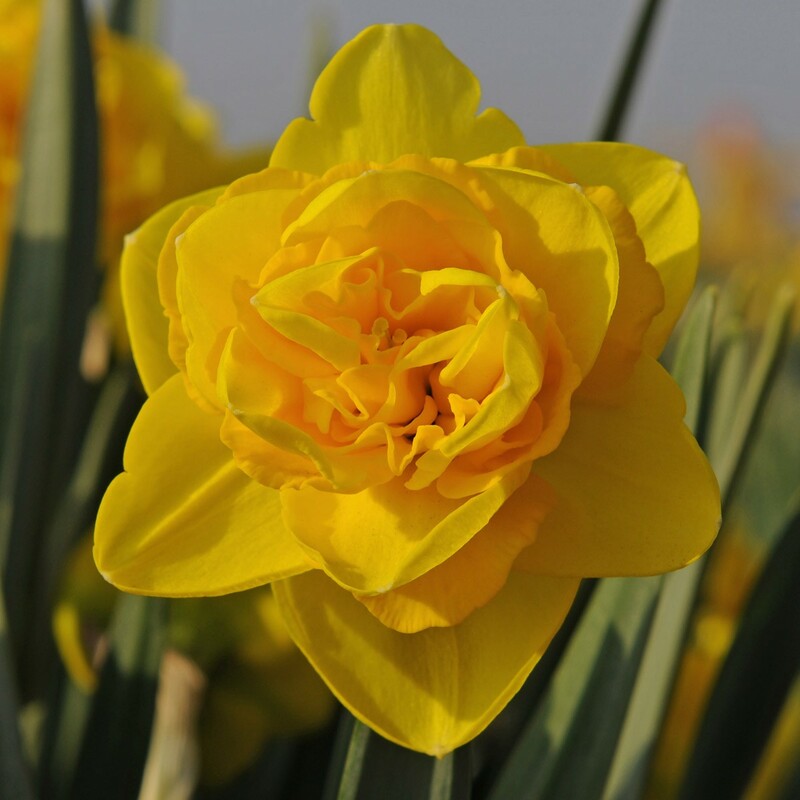 We are here to help you get the most out of your new daffodil bulbs. Please also take look at our other bulb flowers. We have a large selection of tulips, muscari, dahlias, amaryllises and much more.